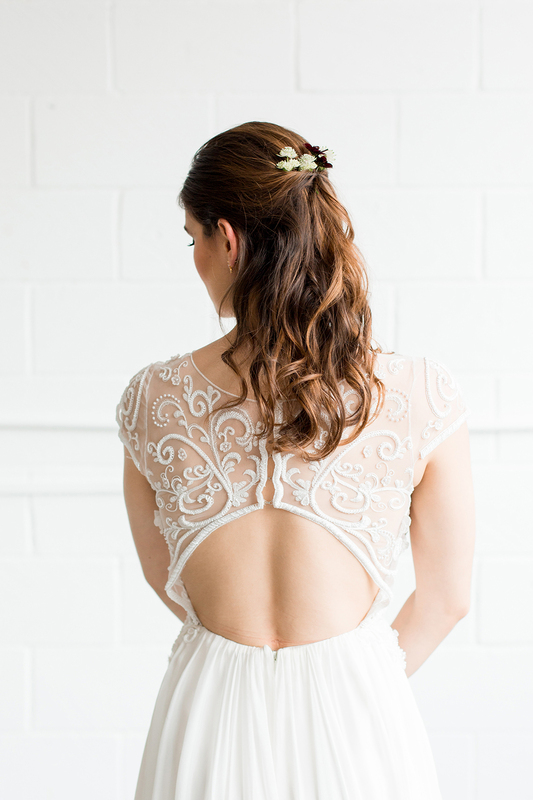 How pretty is the detailing on this wedding gown -the Bella by Shanna Melville at Luella’s Bridal. 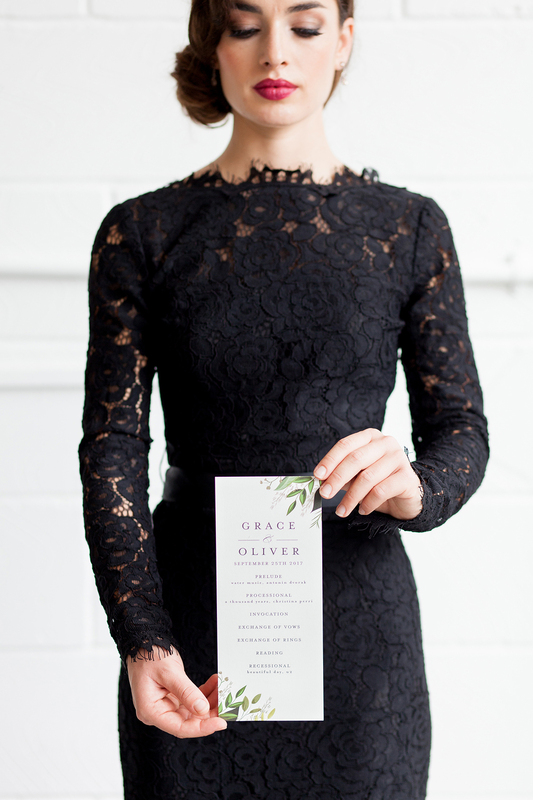 It’s a subtle statement for a modern bride who still wants a refined look and have you seen the back! 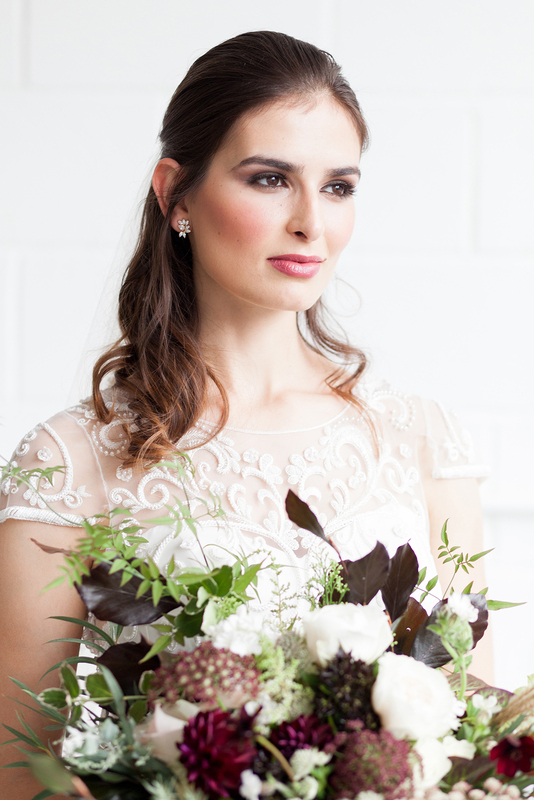 We love the elegant makeup look created by Sylwia Kunysz Makeup Artist with a subtle smoky eye and this beautiful English rose style lip colour. 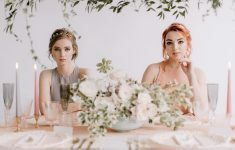 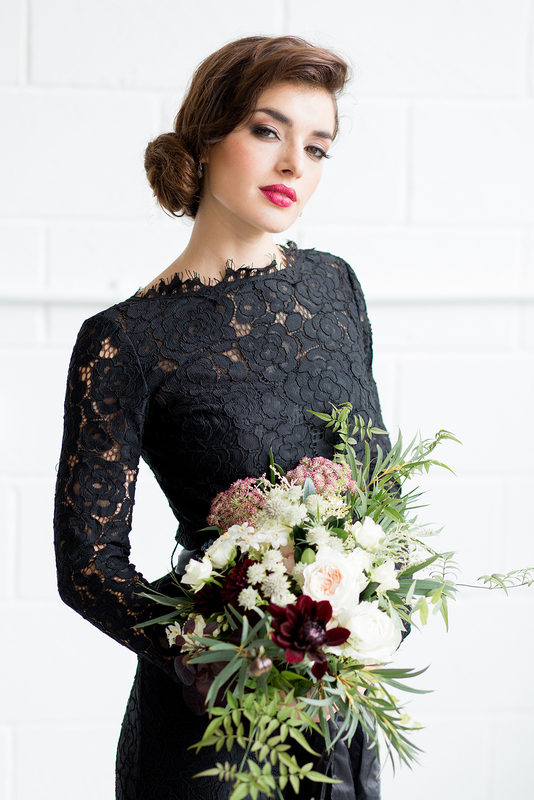 For the Bridesmaids looks they chose the sophisticated Alara Dress by TH&TH, a full length black lace gown with long sleeves and the most elegant neckline! 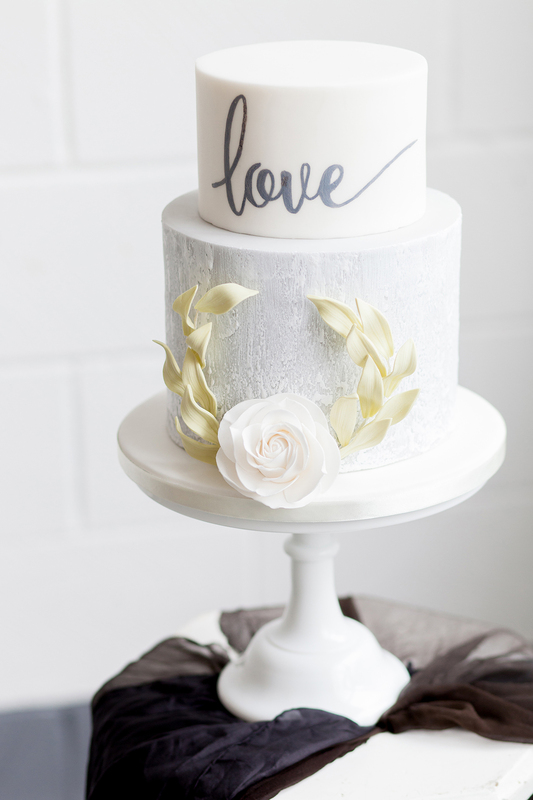 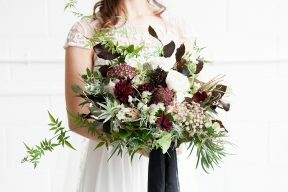 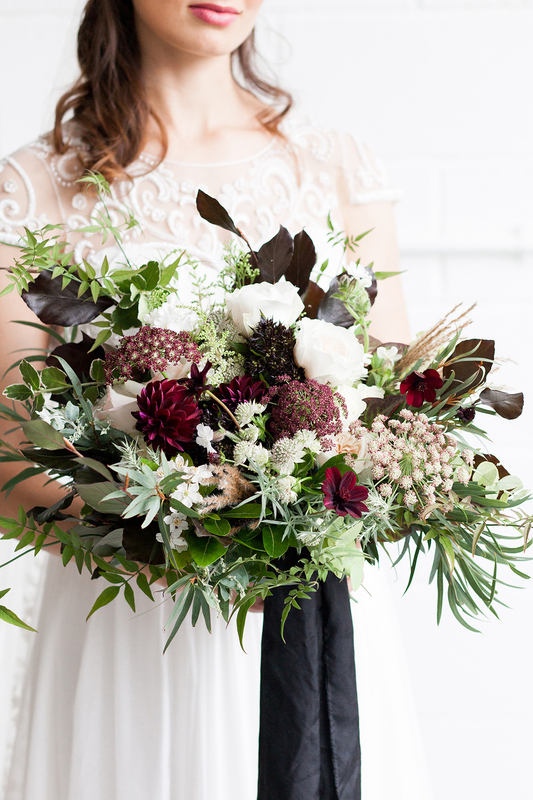 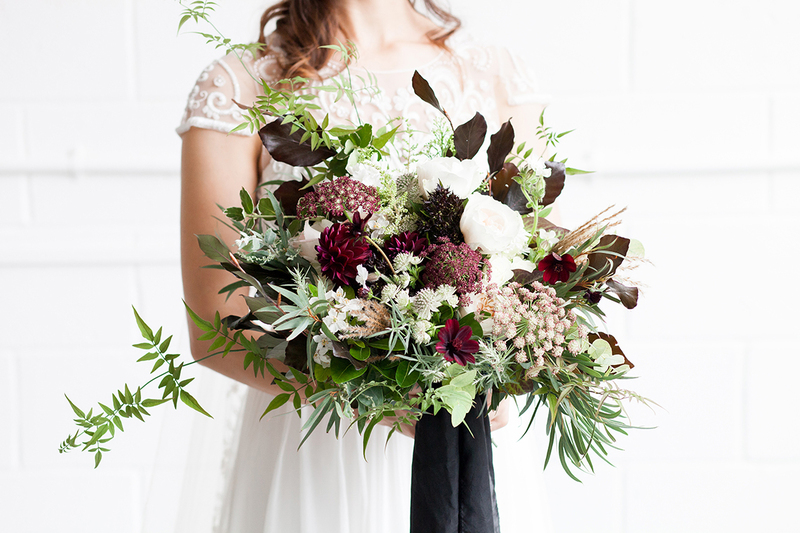 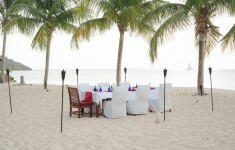 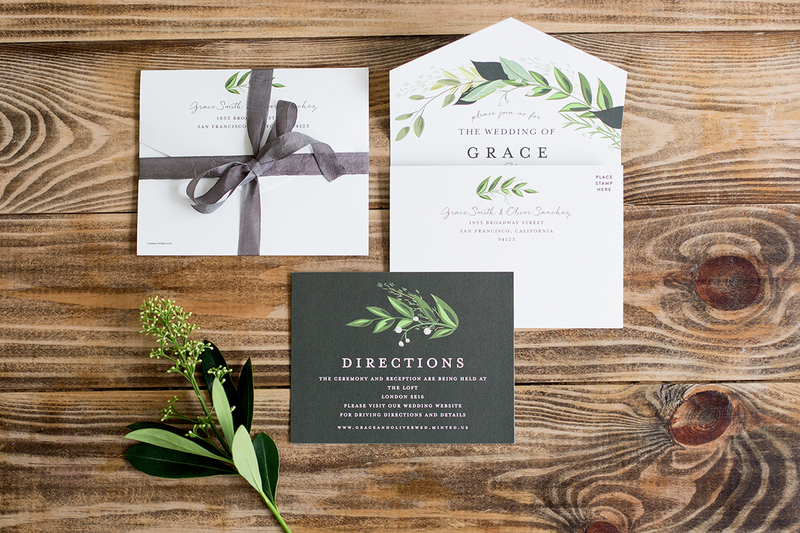 It looks brilliant against the main colour palette of white with dashes of greenery, grey and gold. 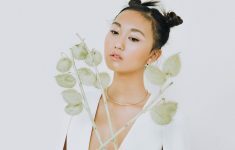 The hairstyle created by Chase Makeup is perfection, with a low bun to one side but in a loose understated way. 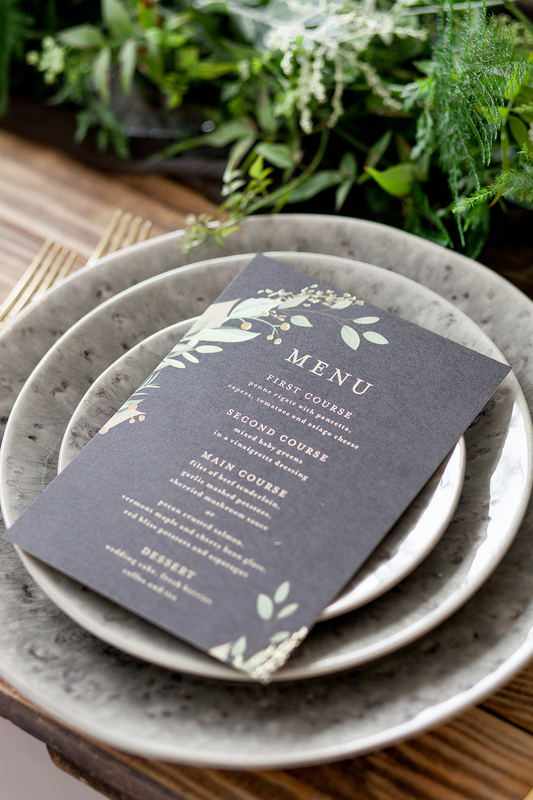 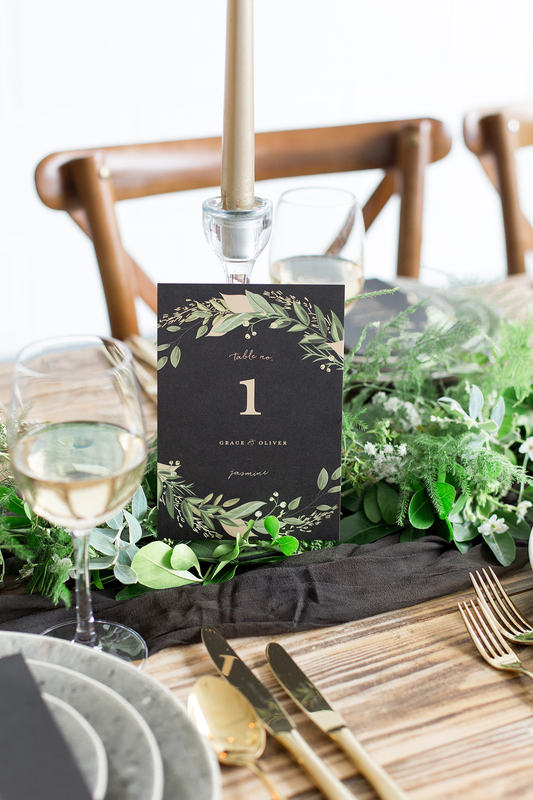 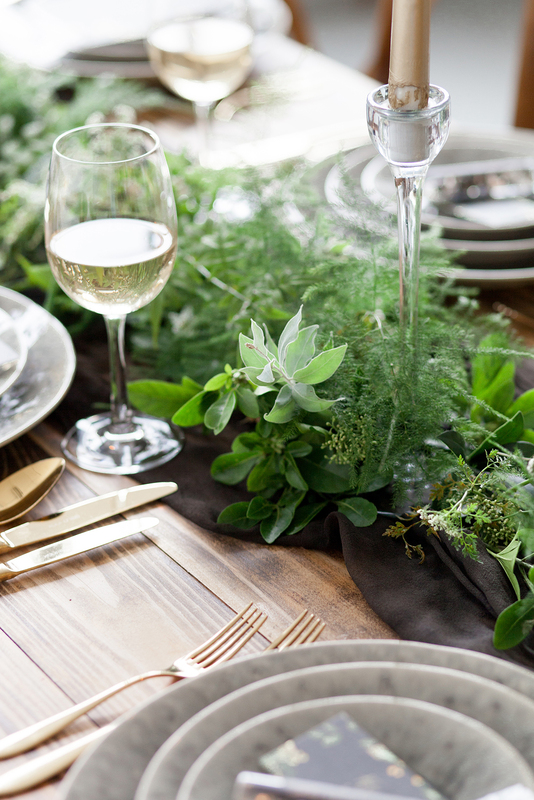 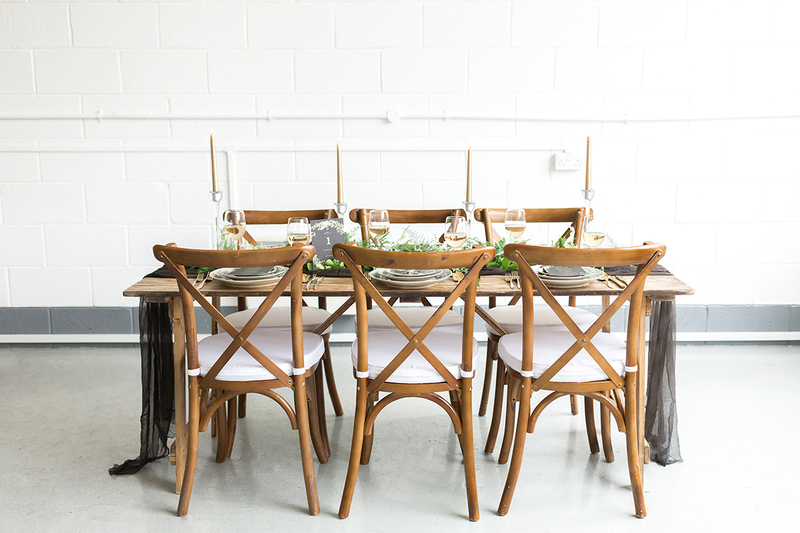 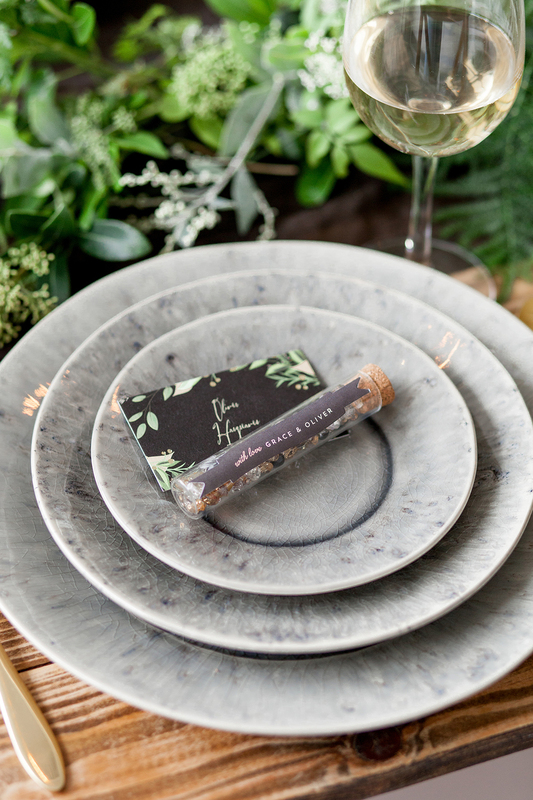 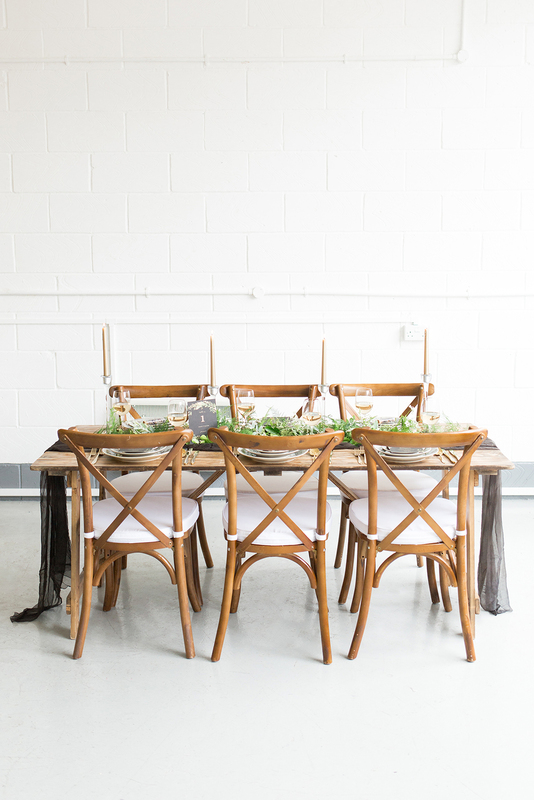 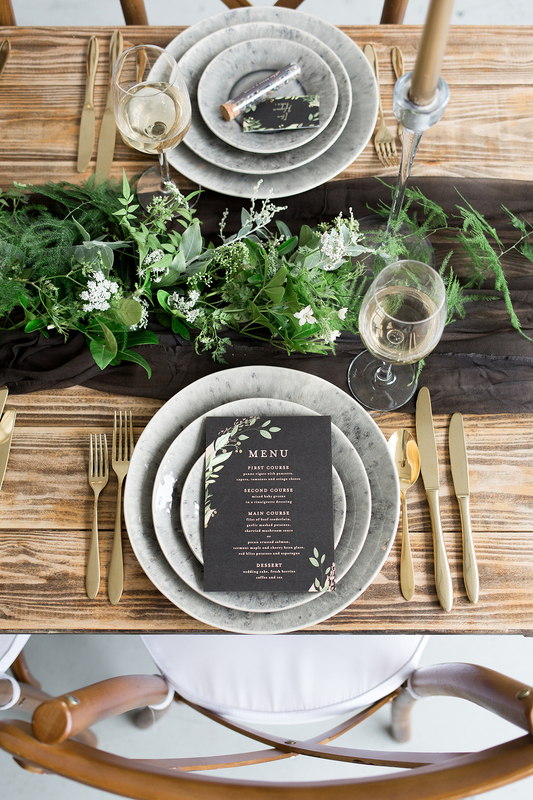 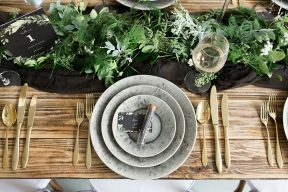 See the industrial chic tablesetting with black and silk runners with an overlay of green foliage which matches the stationery suites by Minted perfectly! 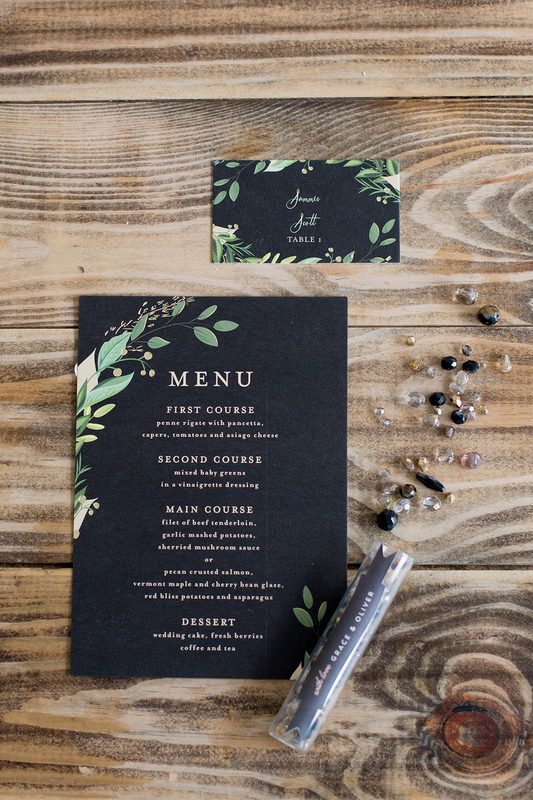 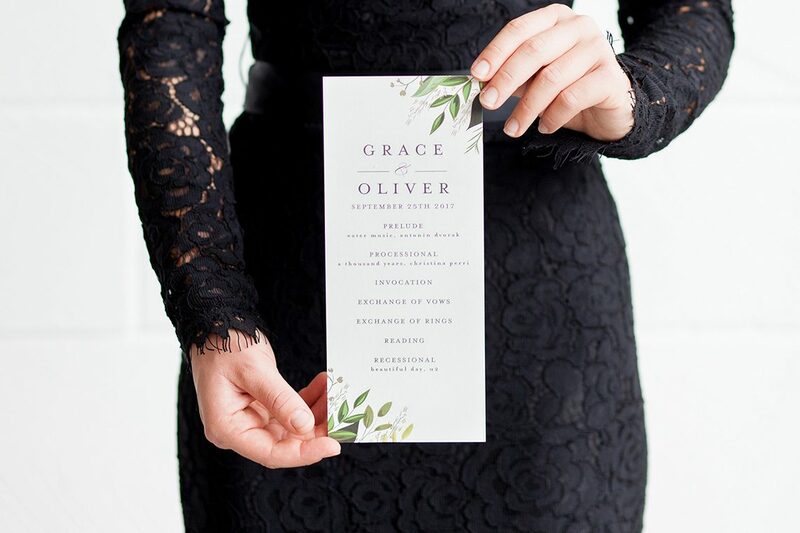 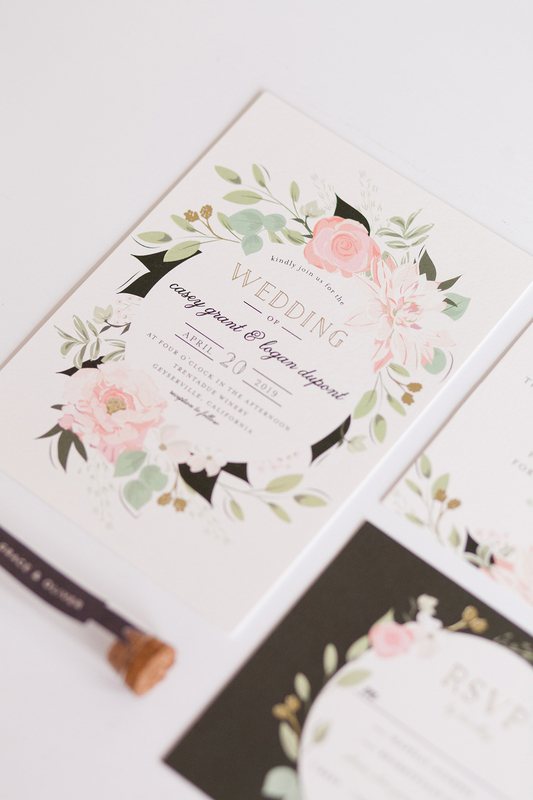 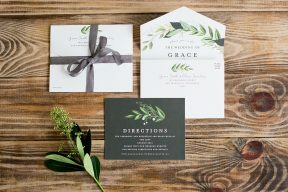 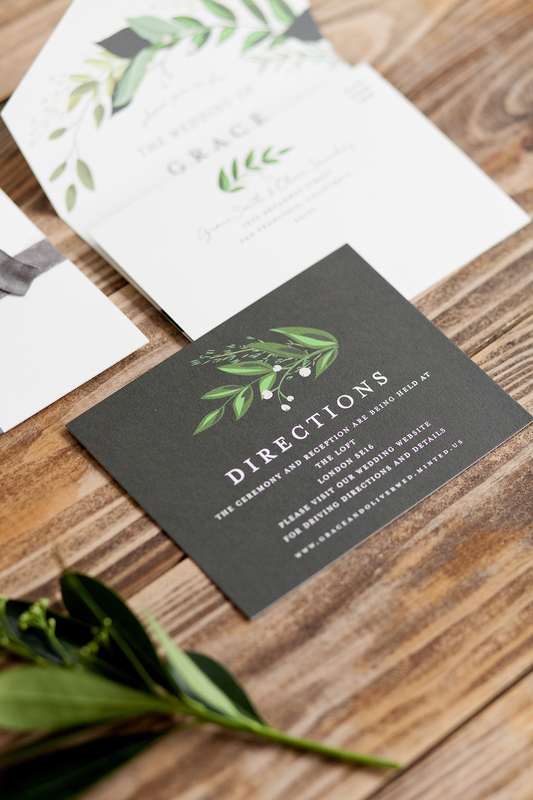 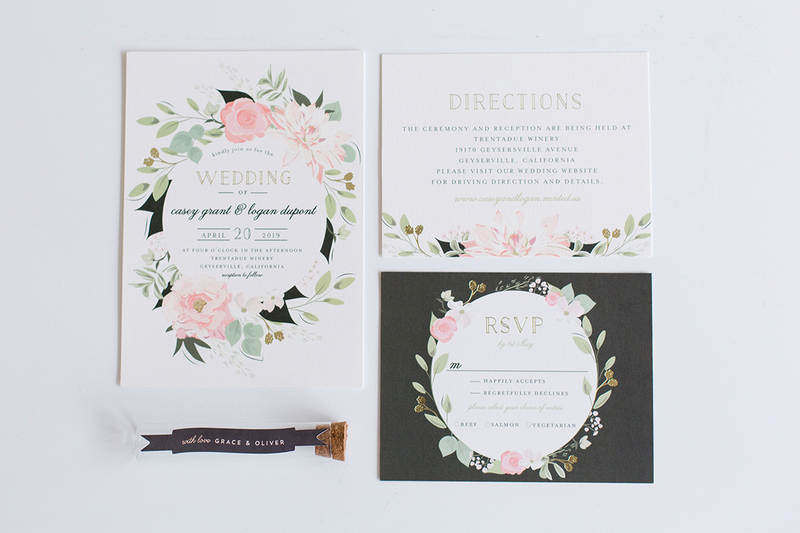 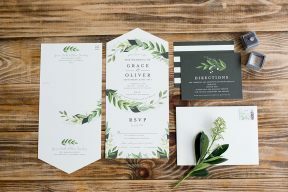 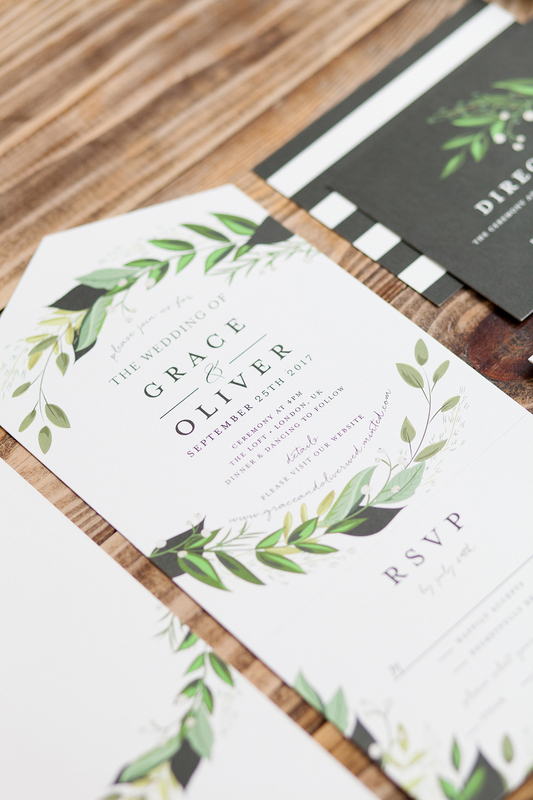 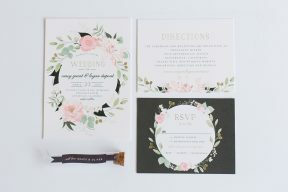 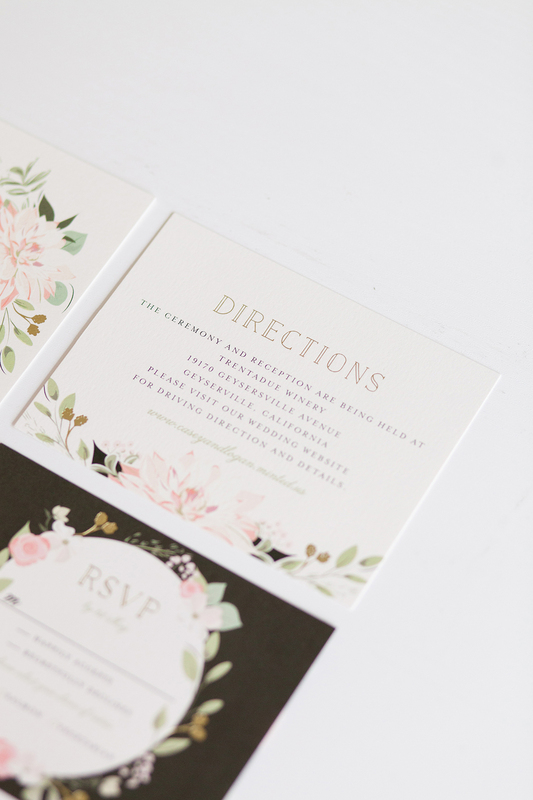 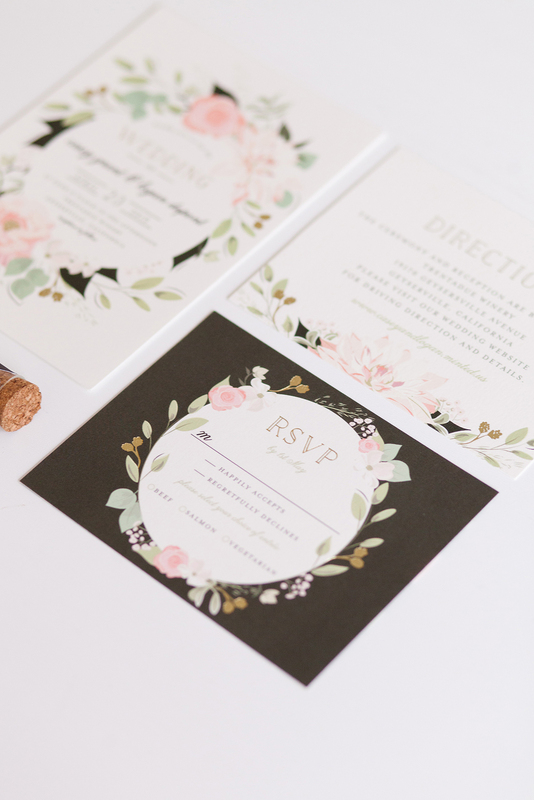 I love the statement black menu design of this collection alongside the white pieces with pretty foliage illustrations such as the invitation which folds neatly into its very own envelope shape. 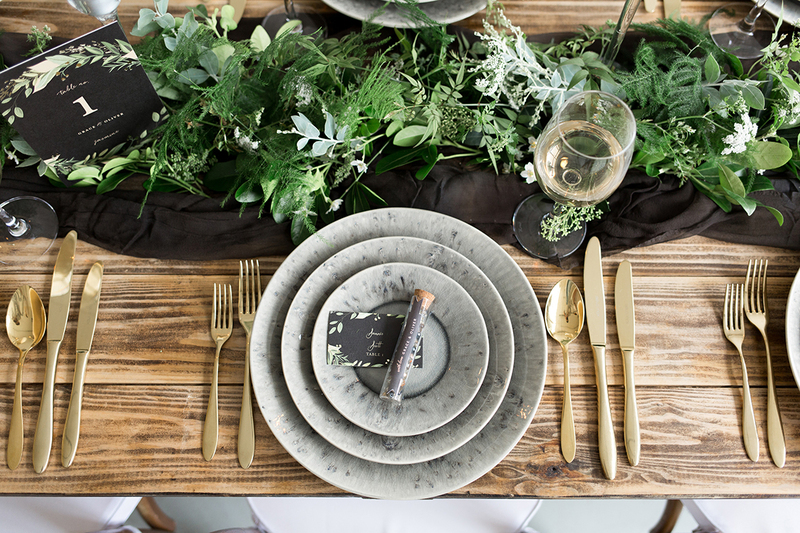 The gold cutlery and heavy ceramics used are great touches that mix modern elements in with the timeless.